A delightful debut about two sisters with big dreams provides a charming introduction to the doljabi, a Korean first birthday tradition. Twig’s first birthday is coming up, and her whole family — especially her older sister, Hazel — is eager to see what she will choose at her doljabi. Whatever item Twig chooses will tell her fortune: Will she pick a hammer and grow up to be a builder? Will she pick a lute and grow up to be a musician? Hazel is hoping that Twig will choose the yarn, just like she did when she was Twig’s age. When the big day arrives and Twig makes an unexpected choice, will Hazel be able to help figure out what the future might hold for her little sister? Sweet, serious Hazel and the adorable Twig are certain to win the hearts of readers, who will long to enter their cozy woodland world. Brenna Burns Yu has an MFA from the fiber department of Cranbook Academy of Art. 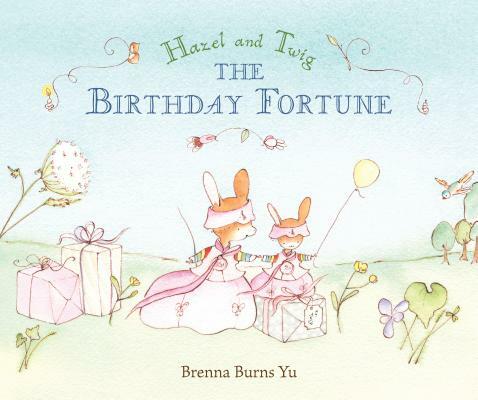 She won a New Voices in Children’s Literature: Tassy Walden Award for an early version of Hazel and Twig: The Birthday Fortune, her first book, which was inspired by her own children’s doljabis. Brenna Burns Yu lives in Connecticut with her family. In an enchanting debut, Yu illustrates the special tradition of a Korean baby's first birthday....The animal characters allow ample room for self-identity, including adoptive and mixed-race families...With very few picture books covering this beloved tradition, this book fills a need—and it will have readers of many cultures craving their own doljabi ceremonies. A debut author-illustrator offers a perfectly charming tale of an older sister preparing for little sister Twig’s first birthday and her doljabi, a Korean tradition in which a baby’s choice from among a collection of objects is believed to indicate clues to her future. Gentle and joyful, the story is a celebration of Korean customs even as, for many readers ages 3-7, it will also serve as an introduction. Yu’s watercolor-and-ink compositions are delicate, imbued with a soft palette of varying shades of green, blue, and brown. Her sweet-faced characters are a joyful mix of gentleness and irrepressibility, a truly irresistible blend. A fresh take on the birthday theme and an opportunity to diversify picture-book offerings to include Korean culture (mouse culture is already amply represented in most picture-book collections), this tale is a welcome and genial addition.